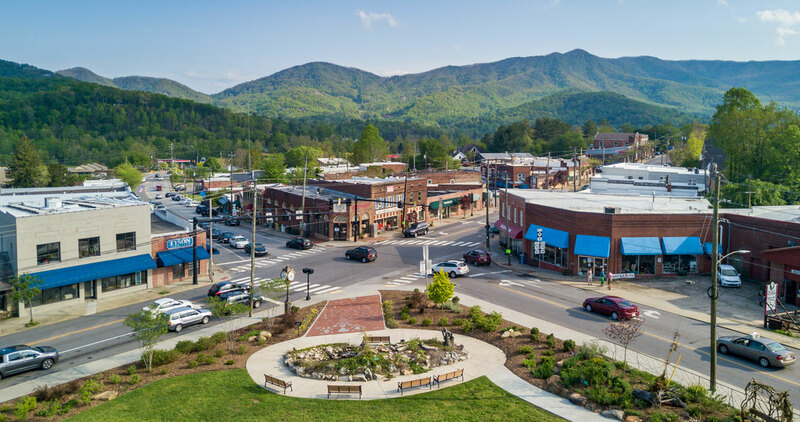 This Buncombe County community boasts a lively downtown rich in good food, cultural arts, and friendly faces. 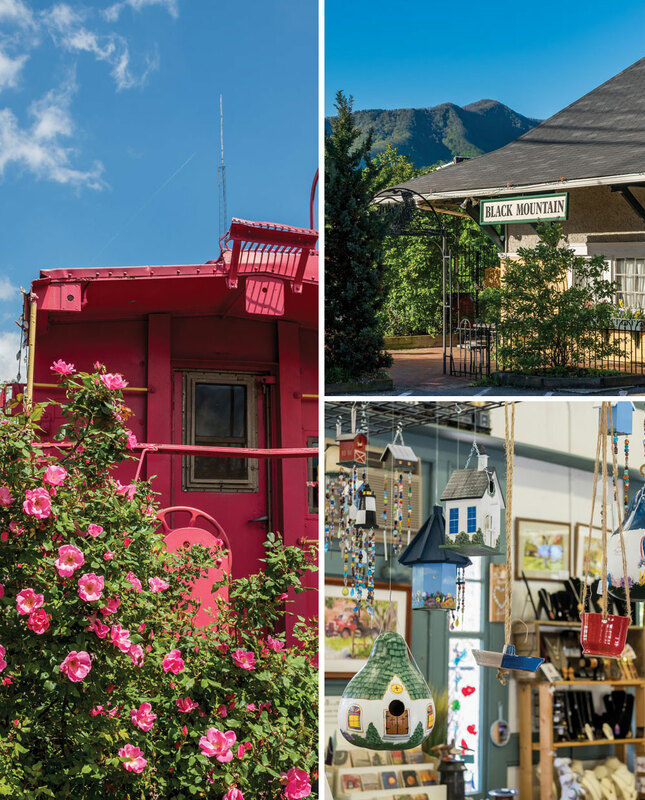 It’s a perfect destination for a day trip — but you may find yourself wanting to pull up a rocking chair and stay in this mountain town much longer. 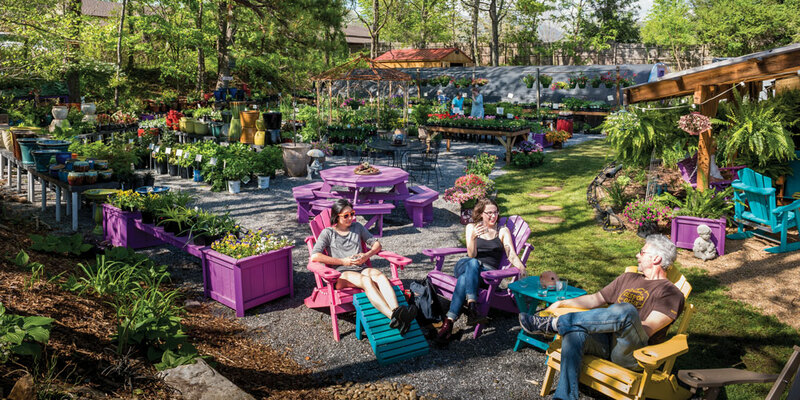 The idea was rooted in geography: Located at the eastern end of the Swannanoa Valley, Black Mountain is the “front porch” of western North Carolina — so, town leaders thought, why not invite people to sit and stay awhile? They adopted the nickname “The Little Town That Rocks,” installed a big red rocker in front of the town visitor’s center, and invited local artists to decorate dozens of rocking chairs scattered around downtown. 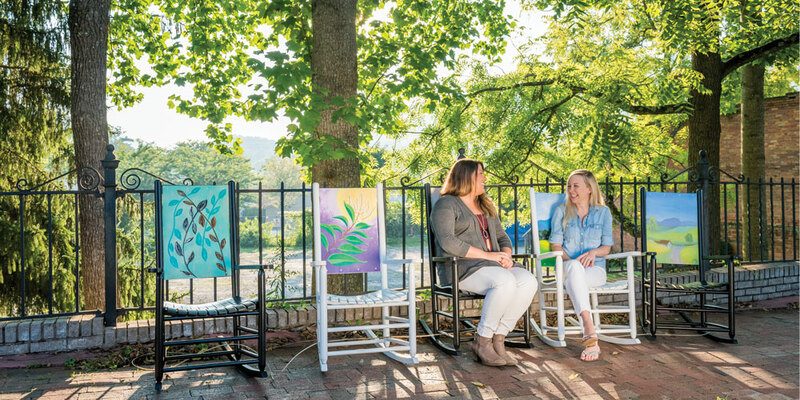 From late spring through early fall — the rockers are auctioned off every October to make way for a new batch — visitors and residents like Olivia Tyson (left) and Chloe Riddle can take a seat on Cherry Street, chatting, people-watching, and enjoying the sunshine and cool mountain air. When the Southern Railroad arrived here in 1870s, the town formerly known as Gray Eagle changed its name to match that of the new rail depot: Black Mountain. Although passenger service ended in 1975, a group of locals is working to bring it back, and a number of commercial trains still chug through Black Mountain daily. The rail station, however, has been reimagined as The Old Depot Gallery, featuring the work of local artists and craftspeople. And the stationary caboose next to it — completely restored and opened by request — holds a trove of images of the depot’s past. In 1912, a fire swept through Black Mountain, destroying an entire block of wooden buildings on Cherry Street. The town rebuilt with brick and mortar, and the resulting structures have stood the test of time. Storefronts that once held a dry-goods store and a steam laundry, a telegraph company and a barbershop, are now home to boutiques, restaurants, and galleries. 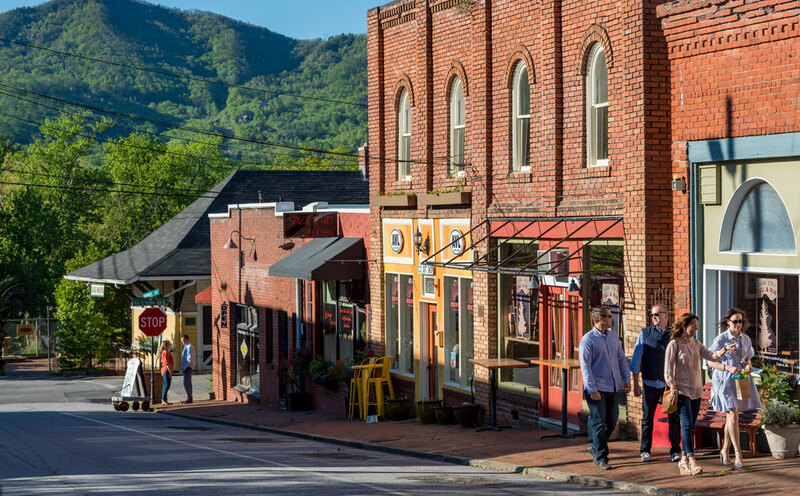 Through a century of change, one thing has remained constant: the ancient backdrop of the Blue Ridge Mountains. 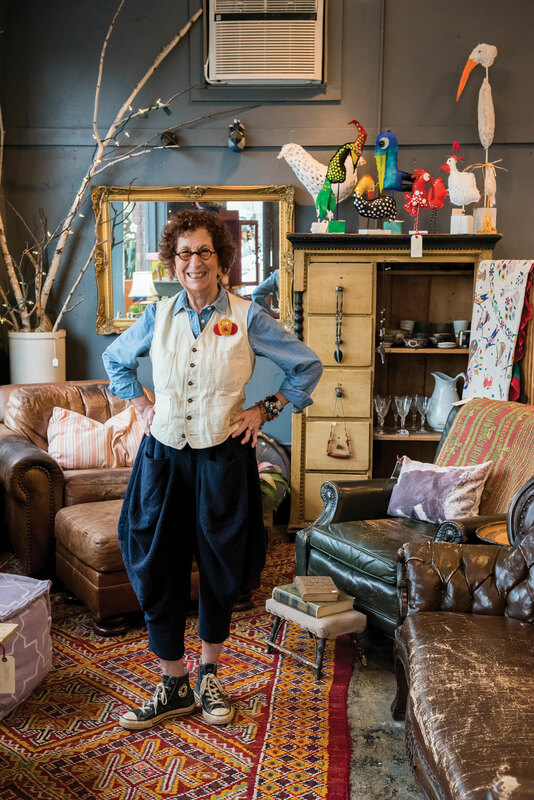 At Chifferobe Home and Garden downtown, Stephanie Wilder sells antiques and folk art, often inviting visitors to chat over a cup of coffee or a glass of wine. After a career spent teaching, she says, moving to Black Mountain was like treating herself to dessert. 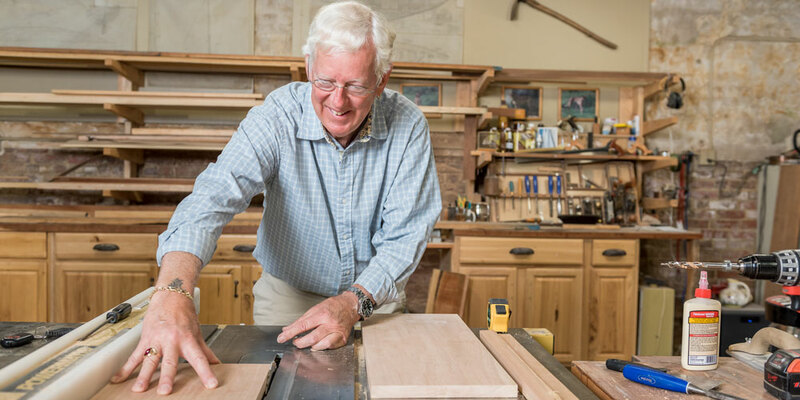 Wilder’s neighbor, woodworker Rick Thurston, spent decades as a sailmaker, boatbuilder, and master welder in Rhode Island before discovering in Black Mountain a community of artists that immediately felt like home. As one of the oldest structures in Black Mountain, the 1907 Stepp House holds more than a century of history. Since 2011, it has also held famous black-bean grit cakes (below), biscuits and gravy, and pimento cheese to rival your grandmother’s. 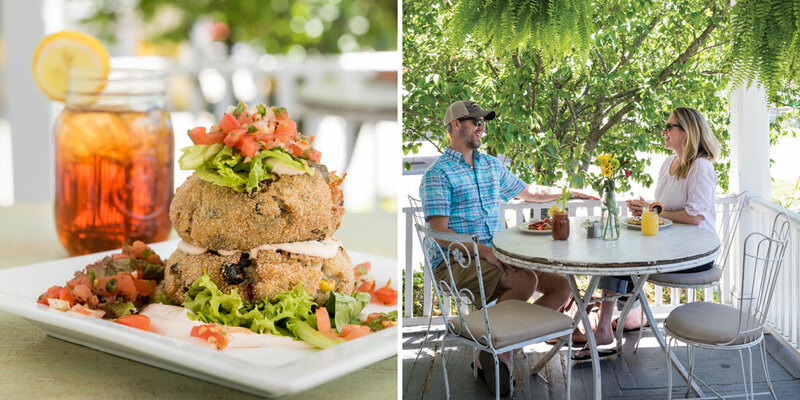 Locals know that Louise’s Kitchen wants diners to feel right at home — walk into the house and straight back to the counter to order — and that the tables inside may be cozy, but the star seating is outside, under classic hanging ferns, on the porch. 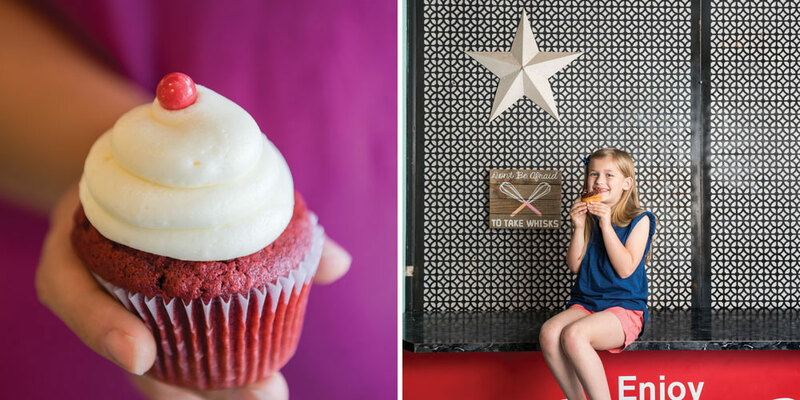 The best way to end a meal in Black Mountain — as Audrey Mercurio (below) will surely tell you — is with a sweet treat at Hey Hey Cupcake. Sisters Courtney King and Gabriel Dash offer flavors like red velvet and “Bonita Margarita,” and, like many eateries in town, they serve coffee from Dynamite Roasting Company. In 2008, Dynamite cofounders Andy Gibbon (below) and Josh Gibbs started roasting beans in an old house. Neighbors often stopped by, asking to buy a cup — and when the pair moved roasting operations to a bigger space, the “accidental café” stayed. 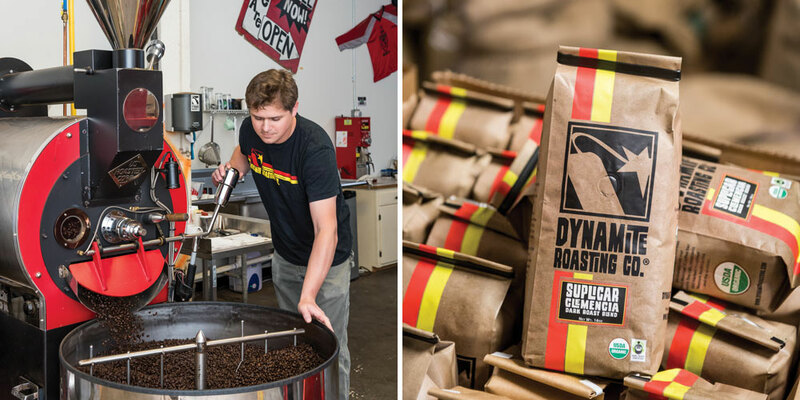 Whether paired with conversation at their café or as a key ingredient in Hey Hey Cupcake’s “Black Mountain Cup-uccino,” Dynamite coffee helps create community.